Sometimes, a film doesn't necessarily need to make perfect sense to be a classic. Some of the most complex, baffling, and even infuriating films ever made have still ascended to become unassailable masterpieces. These films succeed with viewers despite confusing them, in part because they're visually stunning, well-performed, well-written, or all three. There's something else at work in your brain, though, when you come across a film that you know is well made but that you also can't quite seem to understand. When a film just absolutely begs to be seen as a compelling work of art, you can be driven to return to it over and over again, even if you're not entirely sure what's happening. Those rewatches just spawn more theories about their meanings, and the cycle repeats. That's often how a good film becomes a classic one. In that spirit, here are a few films that made it to classic status even if some viewers still don't quite understand them. 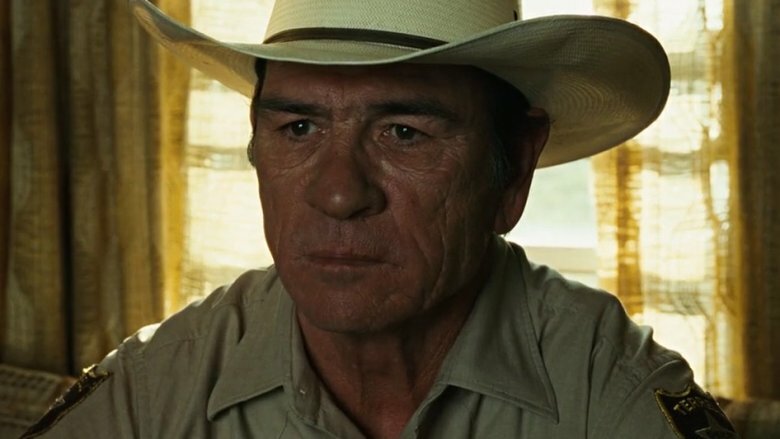 No Country for Old Men is a largely straightforward exercise in storytelling involving a hitman (Javier Bardem), a lawman (Tommy Lee Jones), and an opportunist (Josh Brolin) all playing a deadly game in the middle of a violent Cormac McCarthy tale. It's usually quite easy to understand who's side everyone's on, what the conflict is, and where the clashes are headed, so for nearly the entire runtime of the film, it feels like you're watching a brutal crime drama play out to some thrilling resolution. The confusing part for most viewers only arrives in the very last scene, when Jones' Sheriff Bell is sitting at his kitchen table, describing a pair of dreams to his wife. Bell is retired, Anton Chigurh (Bardem) is apparently free, and Llewelyn Moss (Brolin) is dead. We expect the natural rhythm of this kind of story to give us something more, but instead we get a man simply pondering the inner workings of his brain for a moment before the screen cuts to black. If you were one of the people saying "Huh?" when the lights came up in the theater, you definitely weren't alone. Another relatively direct movie in terms of plot, The Will Be Blood is about a man's drive to conquer the world of oil speculation. 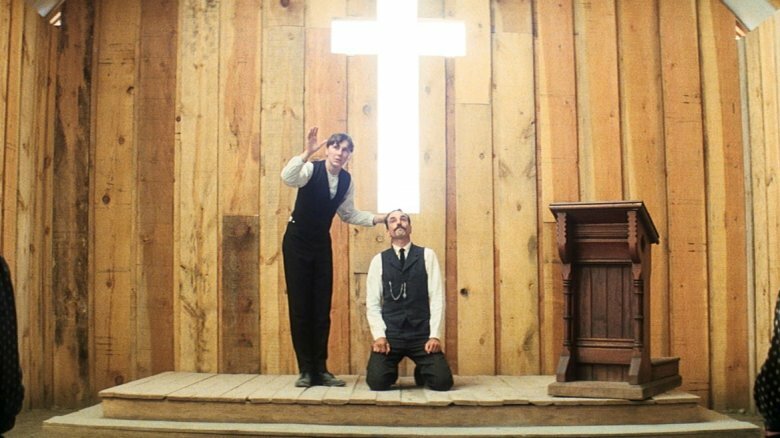 We follow Daniel Plainview's (Daniel Day-Lewis) quest for dominance throughout his life, see the risks he's willing to take and the sacrifices he's willing to make, and we even see that he's prepared to debase himself in an act of public humiliation if it means winning in the long term. Where viewers tend to get confused is not in what happens, but why, and that's particularly true of the final scene, when Daniel gets his revenge on Eli (Paul Dano) by revealing that Eli's attempt at one final land deal is worthless. The "I drink your milkshake" scene is famous not just for that memorable exchange of dialogue, but for its abrupt conclusion, as Daniel declares "I'm finished" after having murdered Eli with a bowling pin. It leaves a lot of viewers scratching their heads, but if you look at it juxtaposed with Daniel's earlier baptism by Eli, it becomes an operatic, violent reverse baptism, and Daniel's decree of "I'm finished" just puts an exclamation point on the religious metaphor. 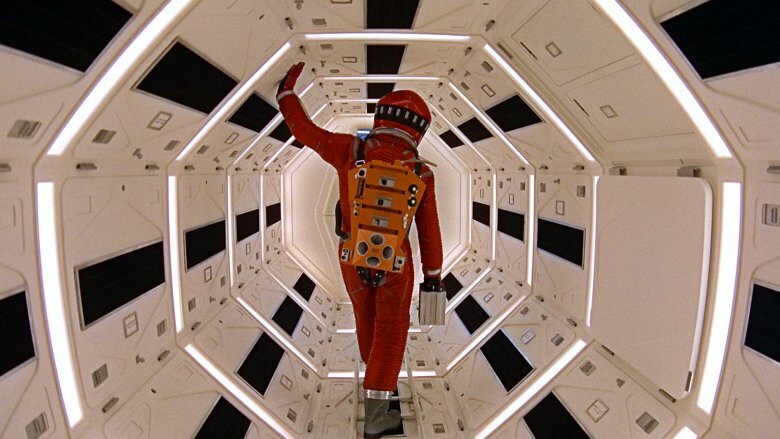 Stanley Kubrick's sci-fi classic is arguably the most famously confusing film ever made, and fans have spent decades debating its ambiguous but beautiful ending. Is Bowman's rebirth as a starchild some kind of symbol for the evolution of humanity through technology? Is he transcending into some new level of existence? Is the cycle of humanity itself reborn in those final moments, sending us back to the time of apes with bones? Everyone seems to have their own interpretation. Earlier this year, an audio clip surfaced purporting to be Kubrick's own explanation for the ending, and it's well worth a listen. Even with that context direct from the filmmaker, though, there's still so much to absorb in 2001 that it often feels like a story we'll never truly grasp. Indeed, that's one of the things that makes it a classic for the ages. 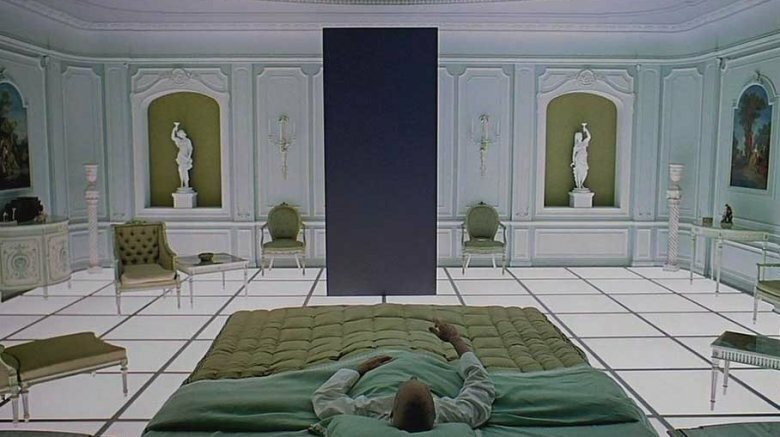 Yes, Kubrick's beautiful depiction of space is captivating, and the film's score is iconic, but we keep coming back to 2001 in part because it still holds a certain mystery that few other films can. If you were a teenager in the early 2000s, there's a very good chance you developed an obsession with Donnie Darko, Richard Kelly's breakthrough film about a teenager (Jake Gyllenhaal) who is pulled into a world of violence, time travel, and sinister bunny rabbits. It's easy to see why it garnered such a following. The film has a great cast, a great soundtrack, an inviting retro setting, and of course a plot that rewards continuous rewatching and interpretation. Even now, it's hard for many viewers to completely grasp everything that's happening in the film. It's obvious that time travel has a role to play, and that it all hinges in some way on that jet engine making its way into Donnie's bedroom. Beyond that, certain things are left murkier than others, and that's just the way Kelly wanted it. Reflecting on the film years after its release, he celebrated both the fans who want to dissect the film over and over again and the fans who simply want the emotional experience of watching it once. There's no wrong way to watch Donnie Darko, but if you watch it once, you might not be able to stop. 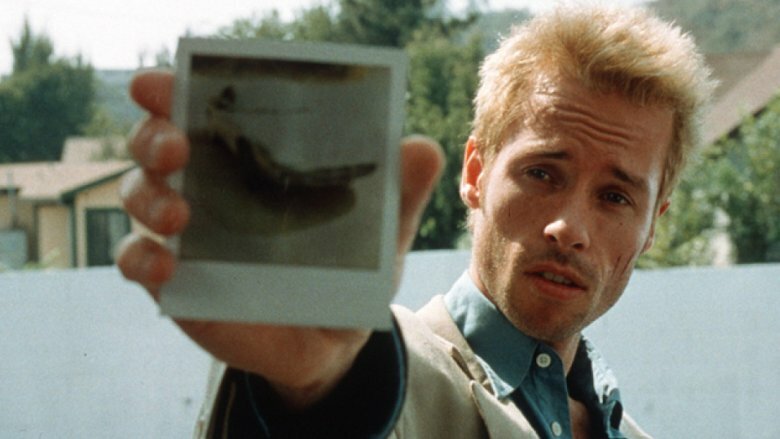 Memento is a mystery, and mystery fans are used to seeing details that seemingly don't tie together, only to learn at the end how they all make sense as part of the same whodunit narrative. In the hands of director Christopher Nolan, though, the mystery format gets a few key twists. The film's main character and chief detective (Guy Pearce) suffers from short term memory loss, so we get the clues through things like tattoos and Polaroid photos, and Nolan plays with the notion of how memory works to present the entire film out of sequence. It's that non-sequential storytelling that tends to confuse most viewers, because even if it does deliver all the pieces by the end, you don't necessarily know what order they go in. To remedy this, the film's DVD release featured an option to watch Memento in chronological order, but even with that in mind, there's something so strange about the film that it still feels like you can't quite piece it all together. Many film fans might argue that Mulholland Drive has no place on this list, as it's actually considered one of the more accessible films in the David Lynch canon. It's certainly easier to penetrate than things like Eraserhead and Inland Empire. But because the film has a reputation as one of Lynch's easier-to-digest works (not to mention one of his most visually stunning), viewers who aren't necessarily used to Lynch's particular bag of surreal tricks tend to gravitate toward it. Anyone who has no idea what they're in for may well walk away scratching their heads. Therefore, Mulholland Drive just might have confused more Lynch viewers per capita than anything else in his filmography short of Twin Peaks. So, why is it so confusing? Well, all the usual Lynchian tricks are there. Different storylines that sometimes don't seem to relate to one another at all come and go, the plot progresses with a strange dream logic that doesn't pause to explain itself, and the mundane is fused with the bizarre in such a way that you're never really sure if what you're seeing is supposed to be "real" in the world of the film. As it turns out, if you're really looking for the solution to Mulholland Drive, "dream logic" is the answer. Or you could just absorb it as an emotional experience from which you can draw your own meaning. It's up to you. Darren Aronofsky's directorial debut is a film about obsession. Specifically, it's about the obsession with order in the universe and how mathematics just might be able to show us the answer to every single mystery. To that end, it's an intense, dark, often frantic film about just how far one man might go to prove that he's right. 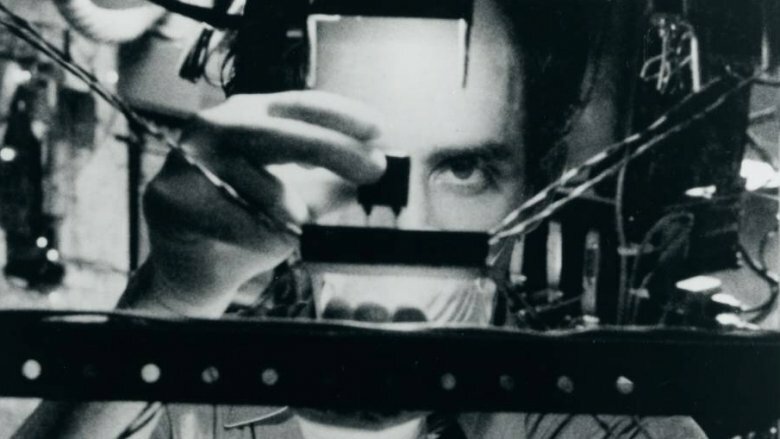 A man obsessed with math is complex enough for a lot of viewers, but throw in the added complications of Max (Sean Gullette) being paranoid, hallucinatory, and on the very edge of sanity for most of the film's runtime, and it's hard to blame the guy for putting a drill in the side of his head by the end. Aronofsky's film is deliberately difficult to understand, often because his protagonist doesn't know what's real and what isn't. In that way, it often feels like something more about the emotional state of obsession rather than the actual object of the obsession itself, and sometimes that just adds to the confusion. Writer Charlie Kaufman's screenplays have never had a reputation for being particularly easy to grasp, as any fan of Synecdoche, New York will tell you. Eternal Sunshine of the Spotless Mind has a bit of an advantage in this department, because we are always aware that the film is playing with the nature of memory, a naturally malleable and often unreliable concept. Even if we don't always follow it, we can still be entertained and moved as we watch what happens when Joel (Jim Carrey) decides to erase his ex-girlfriend Clementine (Kate Winslet) from his memory via an experimental scientific process. As the film journeys through Joel's mind, and he fights to preserve some memory of Clementine by stashing her away in his childhood, it's clear that his emotional journey has shifted. What's less clear is exactly how the memory removal process works, how much of Clementine he saved, and what exactly remains of them in each other by the end of the film. 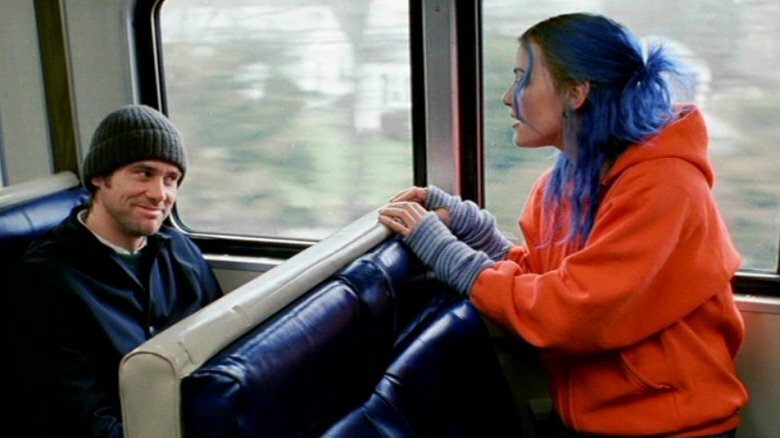 The good news, though, is that Eternal Sunshine is much more of an emotional journey than a plot-driven one, so even if you don't completely follow the memories, you can follow the feeling. The way that whimsical director Michel Gondry brings Kaufman's bittersweet story to life earns it a spot on our list of movies that are practically flawless. 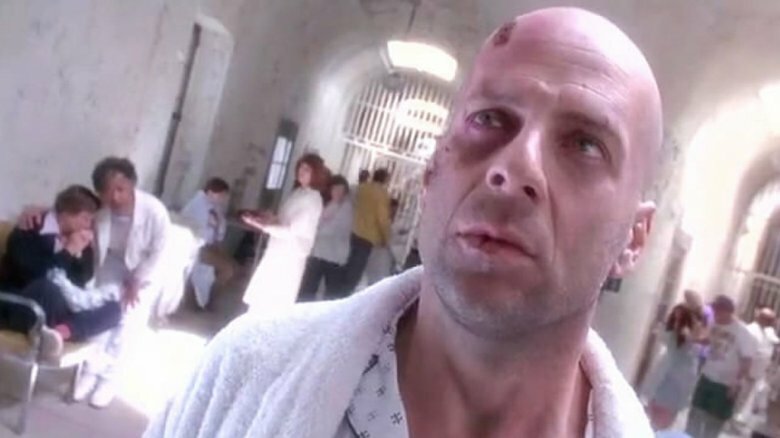 Terry Gilliam doesn't have quite the same reputation for confusing narratives as David Lynch, but his films have also never been exactly straightforward, and 12 Monkeys is a key example of that. It's a time travel story, so right away there are various elements that some viewers will find difficult to follow. Throw in Gilliam's unique storytelling style and the fact that even the main character is forgetting how time travel works in his particular universe, though, and things can get really murky. One of the central conceits of the film is that James Cole (Bruce Willis) can travel back in time, but he can't alter the past in any way, so the virus that's going to be released on humanity will arrive no matter what he does. The thing is, once he arrives in the past, he's inevitably drawn into a fight that he can't win no matter how much he tries, and then to make things more complex he realizes that he has a memory of his own older self being killed. Does that make his death in the past inevitable too? It's a complex series of questions, and the best way to navigate it may just be to watch the film more than once.